...because the first team member she was introduced to was Alex! And after some modern day "courting", Alex asked Angela out on their first date! She of course, said YES! As fate would have it, Angela would contact me shortly after to capture this special time in their lives. I couldn't be happier! Alex is a long-time friend of mine from middle school and its an honor to have been considered! 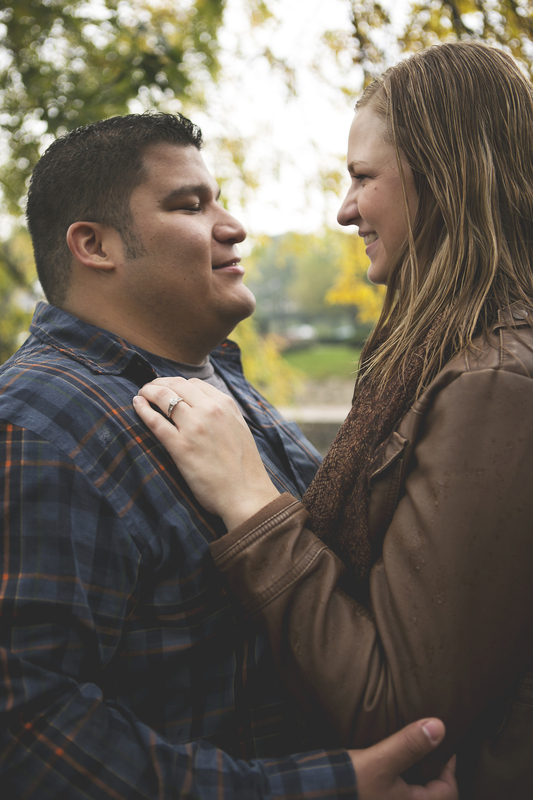 Although it rained during their engagement session, they kept spirits up with their infectious laughs and good humour! I felt the rain had held us back from poses, so we did do a re-shoot, but the more I stare at this set of images, the more I appreciate their simplicity and rawness! I can't WAIT for their wedding this December! It's going to be an unforgettable night!